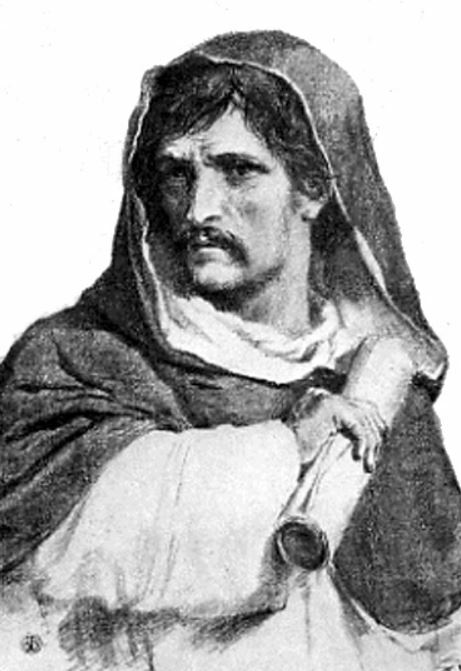 Today’s date, February 17, coincides with the day they killed Giordano Bruno. For years, he had been imprisoned for blasphemy, for practising magic, and for heresy. Execution was recommended, though he could have had a less tortuous death had he confessed to those charges. “I neither ought to recant, nor will I,” Bruno said. (1) So on this February day in 1600, they tortured the former priest, philosopher, mathematician, astronomer. Iron spikes were driven through his jaw, tongue, and palate. Bruno was pulled through the streets by a hooded, chanting group known as the Company of Mercy and Pity. He was stripped of his clothes, tied to a stake, and burned to death. Born Filippo Bruno, he adopted the name Giordano when he entered the Dominican Order at a monastery in Naples, thirty kilometres from his family’s village near Italy’s western coast. Bruno was 17 when he began his studies in theology and metaphysics, and he became an ordained priest at 24. He was remarkably intelligent and gained considerable fame for his tricks of memory. His mnemonic gymnastics were rewarded with an audience before the pope where he performed well and ingratiated himself with the pontiff. His early friendship with Pius V wasn’t enough to prevent Bruno’s eventual execution by the Church, accused of heresy for promoting the notion that Christ was different and separate from God, thus questioning the doctrinal definition of the Trinity. His main crime, however, was his incessant free-thinking independence. Even during his years at the monastery, Bruno committed a host of insubordinate transgressions – from reading the banned works of Erasmus (he kept a copy hidden beside the toilet) to removing images of saints from his monastic cell. 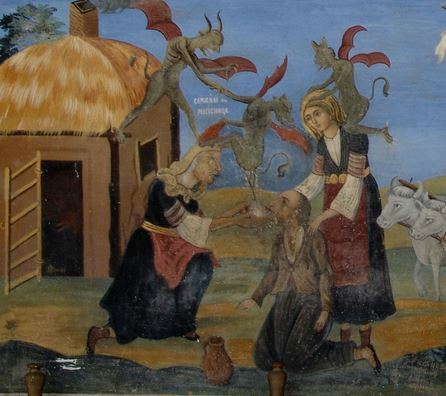 At the monastery, Bruno wrote an allegory he called Ark of Noah in which donkeys, representing monks, brayed their displeasure at their seating assignment on the ark. It was meant to symbolize the pettiness and lack of serious aspirations among his brother friars. (Much later, at his inquisition, Bruno said the then current Pope Pius V had rather liked the tale.) After eleven years as a monk in Naples, Bruno fled when warned charges of heresy were being drafted against him. 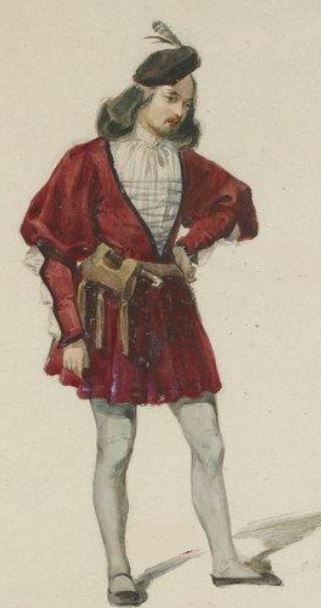 Bruno dressed as a peasant rather than a monk when he left Naples, travelled to Rome, then Genoa and Turin. He stayed in Venice long enough to publish a book on the innocuous subject of memory, written simply to earn a bit of money. But by age 30, he felt Italy was unsafe, so he moved north. Over the next 14 years, Bruno lived in Geneva, Paris, Prague, London, and Frankfurt. He tried his hand as a playwright in Paris, creating The Candlemaker, a comic satire, which exposed prevailing superstitions. But mostly he wrote philosophical tracts and made studies on the nature of memory. King Henry III was a patron, especially appreciating Bruno’s lectures on tricks of memory. This led to Bruno’s 1582 book, The Art of Memory, a somewhat scholarly treatise. It was published in Paris with the king’s encouragement. Through court connections, Bruno lived in London for two years, staying at the home of the French ambassador. Renowned as a philosopher of nature, he was invited to lecture at Oxford, but his defense of Copernicus and his opposition to Aristotelian philosophy kept him from receiving the teaching post he anticipated. (2) But perhaps it was more than his vision of science – Bruno’s religious ruminations were unpalatable everywhere in Europe, even in relatively liberal England. For Bruno, our planet was one of many worlds and doomed to eventually disappear. In De Immenso, Bruno wrote: “The earth, which is of the same species as the moon, is of creatable and destructible substance, therefore the worlds are able to be created and destroyed, and it is not possible that they have been eternal, since they are alterable and consisting of changing parts.”(3) Bruno thought that our planet had formed out of hot mass, then cooled and shrunk according to laws that act the same everywhere in the universe. According to Bruno, the mountains formed as the Earth’s surface cooled. This concept of a cooling, contracting Earth would return again and again among geologists over the next three centuries. It was an important insight into the understanding of the evolution of the world. 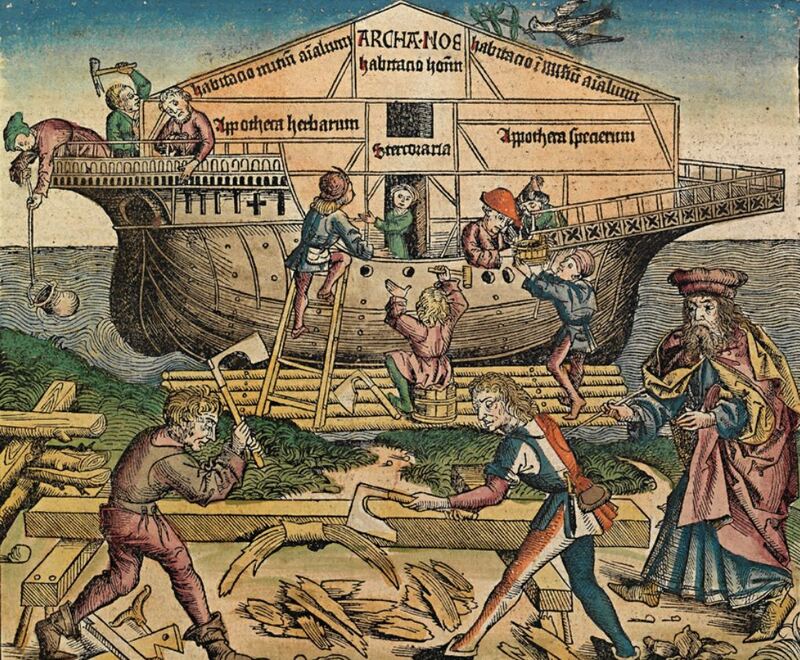 Bruno turned out to be wrong – it’s plate tectonics, not a shrinking, cooling crust that makes mountains, but the idea represented good 16th century logic. While in London, in 1584, Bruno published On the Infinite Universe. This was likely the first book to describe an endless universe, with innumerable worlds populated by intelligent beings. The stars are like our sun, around each revolved a planet like our own. Bruno, incorporating his philosophical description of existence into his concept of the universe, claimed all matter has intelligence – every part of the universe, every rock, drop of water, plant, and animal, has a soul or is part of an all-encompassing soul. By publishing this philosophy, he committed the heresy of pantheism. Without the Oxford appointment in England, he returned to Paris, but it had swung against him and his liberal interpretation of religion, so Bruno travelled to Germany where he taught for two years. Then Prague. He was running out of places and people to trust. But during all his wandering, Bruno continued to write – Theses on Magic; Composition of Images and Ideas; A General Account of Bonding. These were largely concerned with thought processes and psychology – his book on bonding, for example, related to the interconnectedness (the bonds) of society. Then he returned to Italy, to die. The execution of Bruno, on February 17, 1600, was but one example of hundreds of attempts by the church to coerce scientific and philosophical harmony with theological dogma. Historian Andrea Del Col estimates that between 50,000 and 75,000 cases were judged by the Inquisition in Italy alone, resulting in 1250 death sentences. (4) This was in addition to hundreds of thousands of accusations of witchcraft where children and women were the principal victims. (5) Undoubtedly, many allegations arose from civil disputes and grudges, but the stifling atmosphere of rigid church-sanctioned scientific doctrine prevented much genuine unbiased inquiry into the nature of the universe. The martyrdom of Giordano Bruno, immolated at age 51, set an example which stifled free-thinking scientists and philosophers for generations. Galileo, forced to utter words of obedience to the church and recant his belief in the motion of the Earth and planets around the Sun, was fully aware of Bruno’s fate. In fact, Robert Bellarmine – the chief inquisitor who had directed the torture of Bruno 16 years earlier – was now Cardinal Bellarmine and had become the pope’s intellectual adviser. The cardinal spoke with Galileo, offering leniency in exchange for obedience. Giordano Bruno envisioned a universe far larger than the Aristotle model. Bruno suggested the sun was a mere star – and the universe contained an infinite number of stars and an infinite number of inhabited worlds populated by other intelligent beings. For this, and other unorthodox views, the Roman Inquisition found him guilty of heresy and ultimately murdered him in a disturbingly cruel way. The death of the first martyr for modern science served its purpose. Free-thinking and inquiry were stifled. But unlike Bruno, they were not burned to ashes. Most of the preceding is an excerpt from The Mountain Mystery. (1) Mercati (1943). Il sommario del processo di Giordano Bruno, con appendice di documenti sull’eresia e l’inquisizione a Modena nel secolo XVI. (2) In 1583, when Bruno lectured at Oxford, the school had on its statutes that “Bachelors and Masters who did not follow Aristotle faithfully were liable to a fine of five shillings for every point of divergence.” Bruno was not in any way a follower of Aristotle. (3) Bruno, Giordano (1591). De Immenso Book IV, x, pp 56-57. Described by Paterson in the 1973 “Giordano Bruno’s View on the Earth without a Moon,” Pensee Vol. 3. (4) Del Col, Andrea (2010). L’Inquisizione in Italia. Oscar Mondadori, Milan. pp 779-780. (5) Sagan, Carl and Ann Druyan (1997). Demon-Haunted World: Science as a Candle in the Dark, Ballantine Books. This entry was posted in Biography, Culture, Non-drift Theories, Philosophy, Religion, The Book and tagged Art of Memory, Bruno, contraction, Galileo, Giordano Bruno, history, mountain mystery book, Roman Inquisition. Bookmark the permalink. Thanks for the bio on Bruno, a true hero to freethinkers everywhere. Thanks. He was complicated, but fascinating… and what a brutal end to his story. A hero of my undergrad days and still is as a wanderer like many others smitten by many worlds, many loves, many truths, many places; islands to question your shadow feet, continents to give way to new mysteries of the heart as only hearts can live on them–they give them a ‘reason’ to exist. Reblogged on Episyllogism. Thanks for the necessary history lesson. Brilliant! Thanks for writing and sharing.